Do you ever get the feeling someone is watching you? Because I kinda get that feeling about the magnificent PR people at Anker, as I was recently wondering about getting a sound bar for the Kitchen to replace the horrific speakers built into the TV there, then a few hours Later, I got a message asking if I wanted to review the Soundcore Infini Mini, their first shot at a sound bar with a Bluetooth speaker built-in. That was about 2 months ago, this thing is awesome. 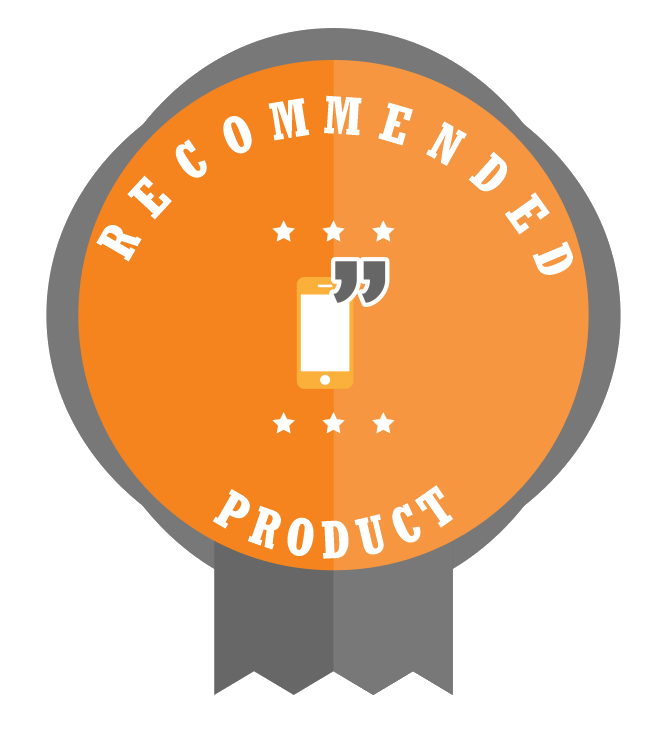 Disclaimer: Anker provided us with this sound bar to review. No money has changed hands between either company, and Anker has no control over this content before it goes live. The Infini Mini was used wired via 3.5mm to my TV and Bluetooth with 5 phones both Android and iOS. It’s kinda hard to get excited about the hardware of a sound bar, they’re all very similar and don’t tend to change too much. The Infini Mini doesn’t really change much here, It looks like a Bluetooth speaker that someone stretched out to just over a metre long. This isn’t bad, not at all, but it isn’t really distinctive in the slightest. 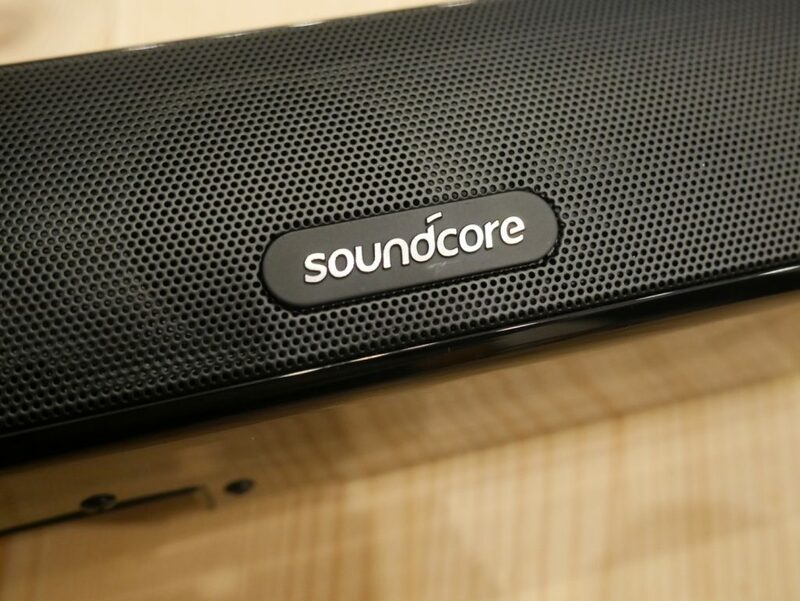 The front face of the Soundcore Infini Mini is all mesh save for the small Soundcore logo. O the right side of that logo behind the mesh is a single LED light, Red means it is off, and there are different shades of blue for different functions. Once the sound bar is on though, the LED turns off after a few minutes as to not be annoying. 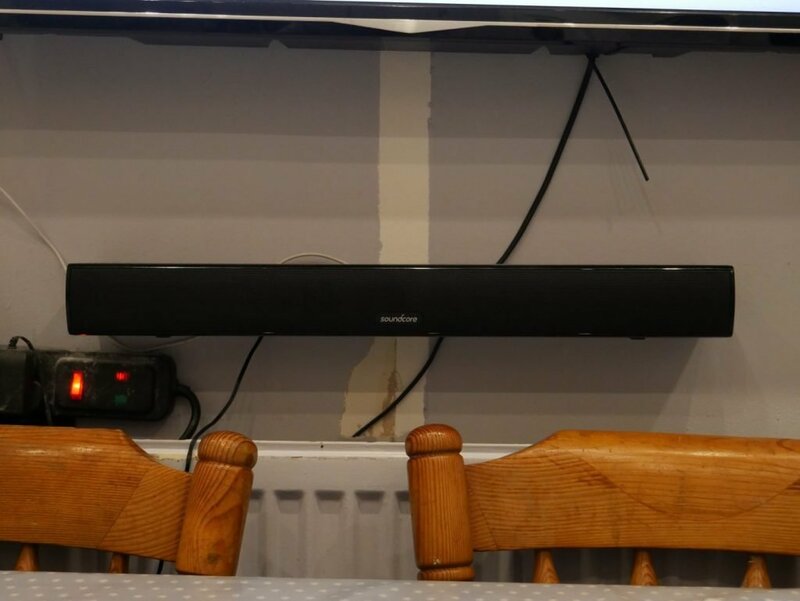 The left-hand side of the sound bar is bare, just a nice, somewhat geometric end cap. The right-hand side, however, is where all the controls are. 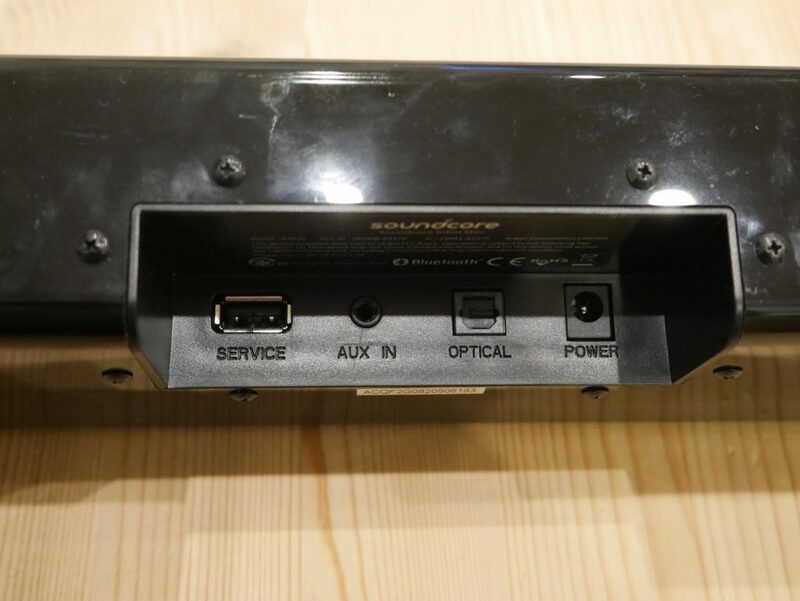 The Right gets the same end cap but split into 4 buttons, Power on/off, Input, and volume up and down buttons. This is a nice touch, I’d rather these be on the side than on the front or top like on my other sound bar, as these just fade away and, I won’t lie, I didn’t even notice them when I was setting this thing up for the first time. The Rear is clear with a small cutout for the Inputs that are just recessed enough that they won’t cause bulging. The Remote is a simple affair, small, with 7 buttons and a 5-way D-pad, these are all membrane switches, but that’s not uncommon on a TV remote and it’s fine here, at least it’s better than the cheap remotes we get with Projectors. 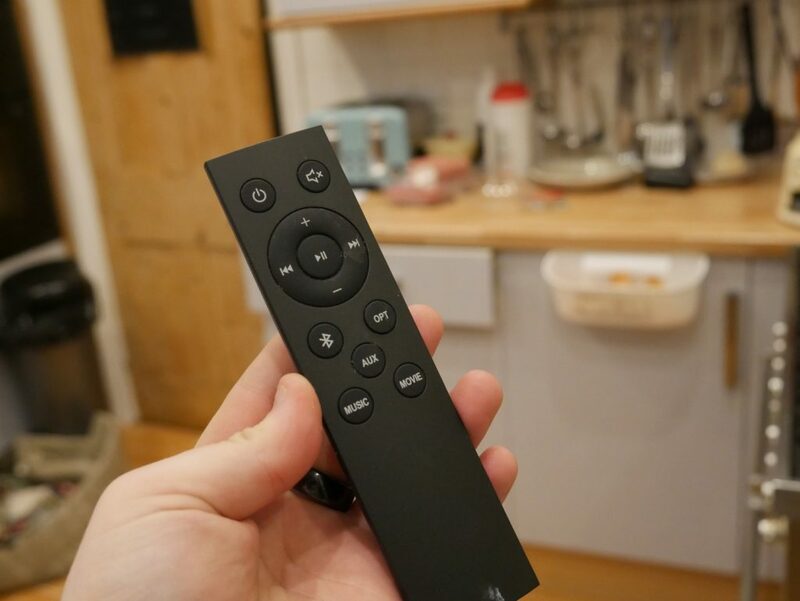 My one complaint about the remote here is that it’s just so damn light, which isn’t usually a complaint, but it makes it easy to lose and feel like it’d easily break. Here is where I started to have fun, this is an awesome sound bar, especially when you consider it is just 2 channels. I’m not an audiophile, far from it, but this was just pleasant to listen to. IT didn’t excel in any one area, it’s also not a super calibrated audio device, but it doesn’t really matter either, as everything it does, it does just well enough for you to say “wow, that actually surprisingly good” and those “surprisingly good” ‘s add up. I was initially surprised at how much bass there was for such a small sound bar, and then I was surprised at how loud the max volume was, Then I was surprised at how wide the soundstage was, especially for those 2 channels, then I was surprised at how easy Bluetooth setup was, and how Bluetooth soun.d3ed, and how good the Bluetooth range was. The Infini Mini surprised me so many different times I forgot one big thing. 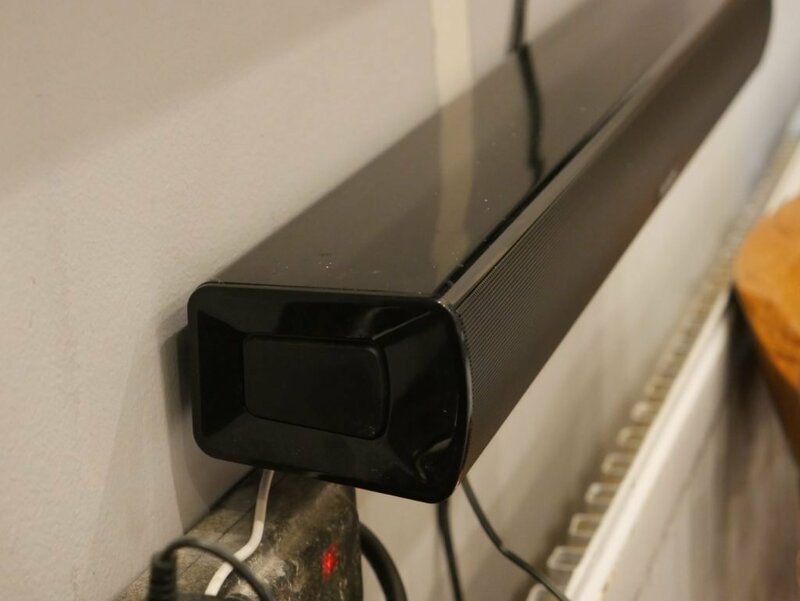 This is Anker’s first sound bar. The Fact that this is this good, on their first attempt, and this is their mini sound bar makes me so excited. There is the Infini, the bigger brother to this, which touts 2 tweeters, 2 subwoofers, a bigger bass port and is a whopping 88cm long! That’ll be impressive, but I wasn’t expecting this to be impressive and that’s why it’s blowing me away so much. You won’t find Dolby Atmos here, nor anything of the sort, but the stereo separation is, once again, surprisingly good enough that films and music with proper stereo separation give a nice immersive effect. Even when used as a (rather large) Bluetooth speaker, the Infini Mini just takes it like a champ. 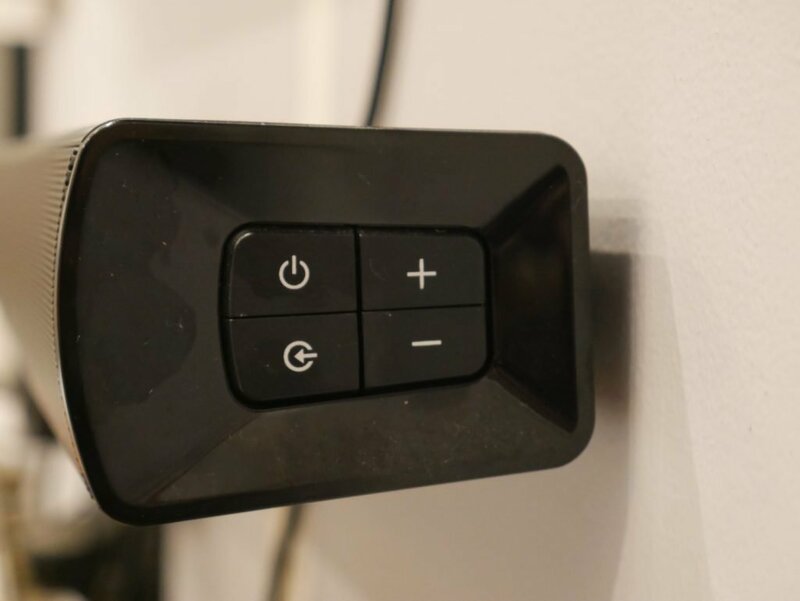 Hit the Bluetooth button on the remote and it goes into pairing mode, hit the Infini mini in your BT settings and you’re connected, simple as. And when you want to go back to your main input, just hit the input button on the remote you want. Everything is simple, and everything just works. The only thing I really want to talk about in the miscellaneous section is the fact that, for some strange reason, the version of Bluetooth included on the Infini Mini, is Bluetooth 2.1, for Reference, we are currently on Bluetooth 5, and Bluetooth 2.1 was announced in July 2007. 11 years ago, that is insane. Does the Infini Mini work fine with Bluetooth 2.1+ EDR? Sure, but I have no idea why they went this route. 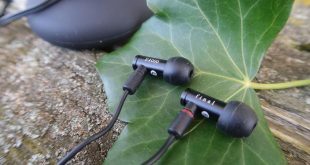 The Bigger Infini has Bluetooth 4.2, why not the same for this? Why not Bluetooth 5 for both? Questions I do not have the answers too, but I think the only reason that Bluetooth 2.1 is not an issue is that this is a wired power device, so it can amplify the radio range more than a battery-powered phone or speaker, but ideally, it just shouldn’t use such an old Bluetooth standard. Do I like the Infini Mini? Heck yeah. 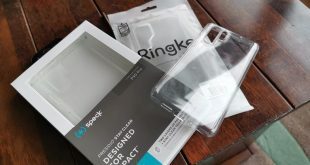 The reason it took me nearly 3 months to review this thing? I put it in my kitchen and then just forgot it was there, it instantly just became a part of our daily life, we just had better sound in the kitchen, we now had a Bluetooth speaker in the kitchen. 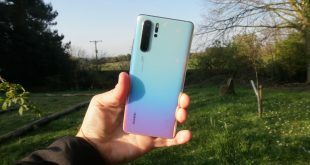 The Infini Mini so effortlessly slid into my life that I, if I’m honest, forgot I was meant to be reviewing it. So sorry Anker for taking so long to review the Infini Mini, but you can pry it from my cold dead hands.